When optimising websites and working on SEO strategy, it’s always important to consider the elements that are used in Google’s famous algorithms for ranking pages. The combined efforts of many different nicknamed sections like Penguin and Panda, which have been added over the years, contribute to the end result: a list of webpages returned in what Google hopes is order of relevance, whenever a user types in a query. Knowing what factors are involved in this process helps businesses develop SEO campaigns and find ways to gain an advantage over the competition, which is of course what we specialise in helping with at 123 Ranking. For many years, the most important factors have arguably been the websites that link back to your own site, and the actual text content you have on your pages. SEO specialists have focused on these areas for a long time, and this isn’t due to change any time soon in Google’s calculations either. However, the third most important element (and the only one of the top three Google has actually confirmed) is now Rankbrain. This has only been announced recently, and the rollout has evidently taken place over the course of 2015, now being complete. 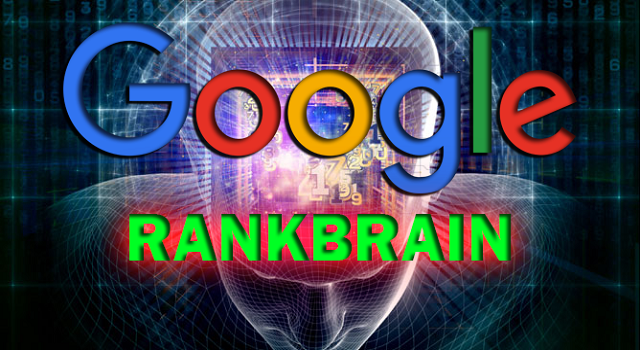 Rankbrain is an entirely new section of Google’s ranking algorithm and has been compared to artificial intelligence, new territory for Google search (although Microsoft’s Bing has used a similar concept for some time). So how does Rankbrain work, and what’s the purpose of it? Rankbrain is essentially designed to interpret new, complicated search queries that might make sense to a human, but previously were too complicated for Google to grasp automatically. For long, complex sentences that need to be in context, Google wouldn’t be able to show the most relevant results in many cases without the help of Rankbrain. It still relies on human input, however. Rankbrain is not learning constantly, but instead it’s fed historical data periodically and tries to look for patterns and context to make links between seemingly unrelated search terms and websites. If the results seem rational to Google’s human testers, the update is rolled out, but if not, Rankbrain goes back to the drawing board. At this point Google tells us that Rankbrain is being used to interpret around 70% of all searches, which shows they’ve invested a lot in such a new system and must be confident this is the way forward. With the way this has been sprung on the Internet with little warning, you might wonder what impact it might have on SEO in the near future. The answer, luckily, is not much has changed about the long term strategy we’d advocate. Google is increasingly looking for ways to focus on quality content, and to avoid being fooled by black hat techniques and trickery. The way forward is still to populate your website with high quality content that genuinely provides value to your visitors, and Rankbrain is just another method for Google to pick up on this and reward you with higher positions. Many suspect that local businesses might benefit from Rankbrain, as it should better understand when users are hoping for local results without having to actually include their location in their search term. This is only one example, and time will tell how much of an impact this change will really have on the SEO landscape, but it serves as a reminder that pleasing Google is always going to be something of a minefield. Fortunately, with experts like ourselves at 123 Ranking to guide your business, you can be a lot more comfortable that your website is in great condition to respond to future search engine updates as well as getting ahead of the competition.